Santa and tree moon ornament. 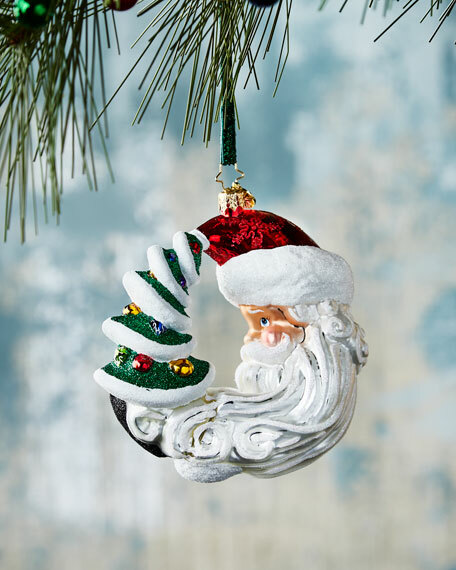 For more than 20 years, Christopher Radko has been designing and producing handmade ornaments, gifts, and home decor for every special occasion and season that the calendar brings. His creations have become collectors' items, favored gifts, and keepsakes among those who give and receive them in celebration of life's milestones and memorable occasions.